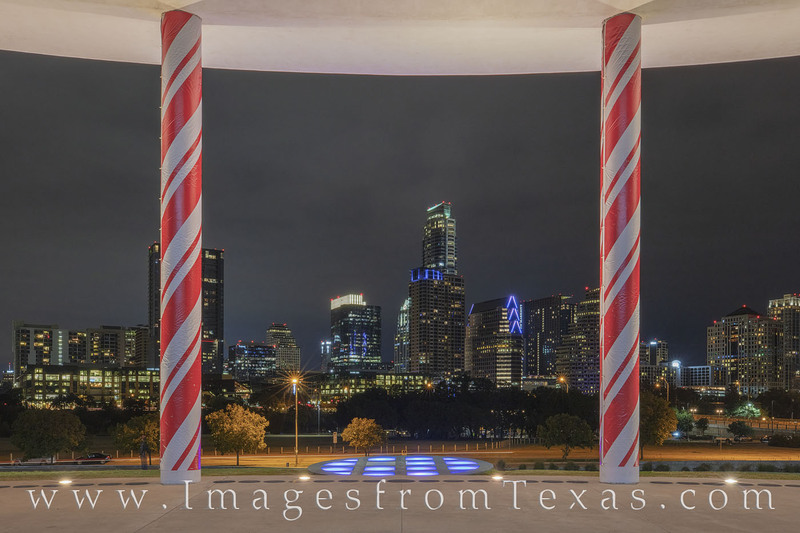 From the pavilion of the Long Center, the pillars are wrapped in candy-cane colors and the Austin skyline shines in the cool night. The Austonian rises highests in this photograph, and the Frost Tower peeks out from behind it. Happy Holidays from Austin, Texas! Photo © copyright by Rob Greebon.